HCS Group’s experience provides a proven approach to attain cost savingsfor operations while also addressing the long term sustainability goals desired in all groups of facilities. Welcome to HCS Group, Inc.
HCS Group Inc. develops and provides projects to reduce energy costs and carbon intensity factors. Its 25 years’ experience in providing Combined-Heat-and-Power (CHP also Cogeneration) and Waste-Heat-to Power (WHP) have allowed clients within a large variety of business sectors to reduce their energy expenses. At the same time, they benefit from increased reliability of energy, improved safety of operations and sustainability either as a standalone facility or part of a new micro-grid configuration. 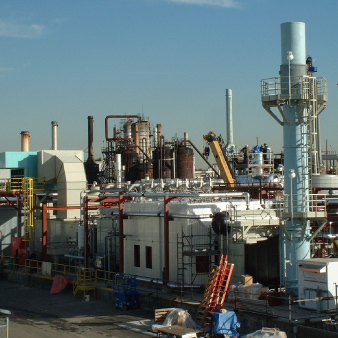 Improvement to carbon intensity factors are also provided through HCS’ experience in CO2 capture from pre/post combustion and the results of chemical processing. 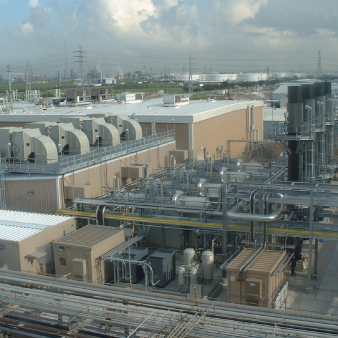 HCS is a Houston, Texas based Engineering-Procurement-Construction Management (EPCm) firm which does not manufacture systems but provides proven results by integrating the best available components to meet the project objectives. To provide independent evaluations, designs, and installations of utility systems which provide facility owners a project for achieving: operational flexibility, environmental compliance, cost effective operations, all services necessary to reach their goals and single point responsibility.